I’ve been married for 18 years and I recently discovered that my husband cheated on me. It was going on for four years! My life is shattered, and my confidence is gone. He told me he still loves me and says he will never hurt me or break my trust again, but if he loves me, why did he cheat? Why did he break my trust? We still live together but it’s painful because I think about all I gave him and what he did to me. I gave him my whole life and I care for him so much and I don’t like to see him in pain. I don’t know if I should stay with him or not. Truthfully, I am not happy with him, but I think being without him would kill me. Is there any cure for my pain after my husband cheated on me? I can feel your pain. Almost anyone who says “My husband cheated on me” can follow that with “My confidence is gone.” That’s such a painful, but normal reaction. 18 years is a long time and I understand that you love him very much. However, you have to stop taking responsibility for his actions. When you blame yourself or think that maybe you weren’t enough, you’re taking responsibility for his actions. However, when you accept in your heart that what he did is totally his responsibility, then it will shake your confidence a little bit less. Unfortunately, millions of people are in the My Husband Cheated on Me Club—where no one ever wants to be a member. I say this to stress that you are not alone and you should get all the support you can. When this happens, it’s easy to feel abandoned, foolish, ashamed, and crushed. Don’t try to heal alone. If nothing else, find an online support group. 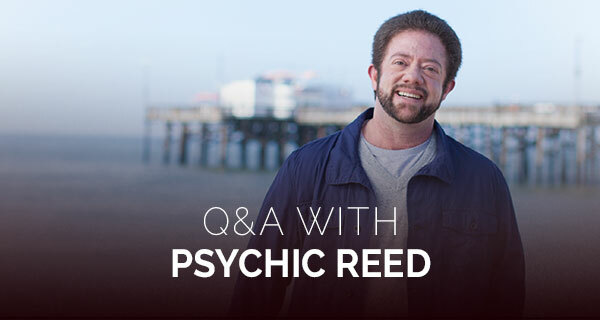 Talk to someone, whether a friend or Love Psychic like me and focus on nurturing yourself. Don’t just go over what he did to you. Talk to others who have survived it. Shame thrives on secrecy, so while you don’t have to tell everyone, do not keep this to yourself either. Your husband does love you. You asked how he could do this to you if he loves you. Well, the parts of our hearts and brains with which we love are not the same parts that regulate our decision-making process, so being in love does not prevent people from making poor choices. Also, there is a difference in a feeling (love) and an ability (relationship skills), so a man can love a woman and still have lousy relationship skills, poor communication skills, and an overall lack of emotional skills. He can be in love and still mess up, fail to meet your needs, make poor decisions, lose control or just fail in general. The good news is that he has the feeling—he loves you. The bad news is that he doesn’t have the skill to give you that love in the way you need to receive it. I think more women, including you, should ask themselves whether or not a man has good relationship skills instead of just whether or not he loves her. After all, what good are his feelings if he can’t properly express them, act on them or honor them? I don’t think you will ever trust him again, and for you, this would mean you would never feel peace with him. You have a lot of healing to do though—with or without him. If you stay with him, you are going to have to build that confidence sky high to combat the lack of peace. If you leave him, you won’t stay single for long. No matter what you decide, you need to tend to your healing. If you don’t, you will take this wound into your new relationship and it will suffer. So no matter what, you have to heal you. Your husband cannot heal you, no matter what he does or promises or says. You and only you can build true confidence and self-worth. When I meditated on this, I saw you leaving your damaged marriage, reinventing yourself, and moving on with a new love. There is a cure for your pain, and it isn’t your husband. Hang in there and let me know if you need some additional support to get through this. Wow, that’s a hard pill to swallow. I send healing energy her way! Its only so much some people can handle but also prayer can change things. To be with someone that long and then have to face the reality of moving on is tuff. I honestly believe it can be resolved but the husband needs to be more open and in tune with what caused his disloyalty. I feel the wife is willing to work through this but it has to be open communications and the husband has to face his dark side and what caused it. By running from the situation it will only get worse. I am hoping they get through it. Sending love and ArchAngel Rapheal the divine healer. Justin Sanders, you are so kind. Thank you. It is tough starting over. I’m terrified. I gave my everything in a 28 year marriage ( today was my anniversary,so I wrote on the calendar- Happy last anniversary). I was just thinking that there was no reason for me too keep going on, then I read what you wrote. You are so kind, it eased my heart just a little. Thank you so much, I needed that second of peace. May GOD Bless You. Is my Husband still talking with the woman that he cheated on me with.or is he talking with another woman without my knowledge. Is he being honest with me for real this time. Hello Reed, I am a single mom from india staying here in Detroit. my husband left me and my daughter 2009 and staying with another American lady since then.. i have not gone native and not seen my family last 10 years.. without job and support cant do anything in life… stuck here… is there any possibility for new love or job for me ? please advise and thank you.